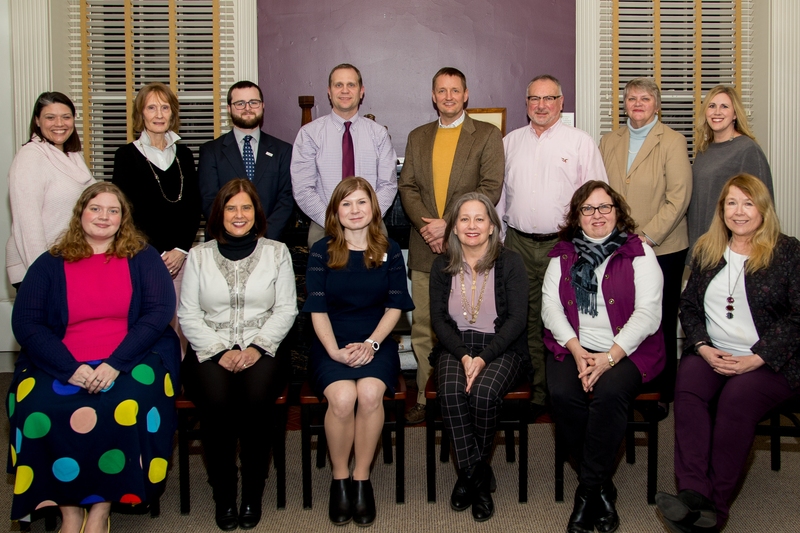 January 30, 2019 (Canandaigua, NY) — The Wood Library Association held its annual meeting on Monday, January 28, 2019. Curt Hill, of Chatham Ln, was elected to serve a second three-year term as trustee. Marilyn Cushman, of Island Ln; Leslie Mast, of Chapin St; Kathy Shay, of Chapel St; and Erin Van Damme, of Mason St, were all elected to serve three-year terms on the library board. The Association’s officers for 2019 are: Laurie Riedman, President; Deborah Gregory, Vice President; Suzanne O’Connor, Treasurer; and Jill Werth, Secretary. Three outgoing trustees were recognized for their dedicated service to Wood Library: Kathi Nevin, past president, Tammra Schiller, and Marty Daniels. Reviewing highlights of the past year, Board President Laurie Riedman pointed out many strategic decisions trustees made to ensure that Wood Library is financially secure and is able to address community needs: “We adopted a strategic plan that focuses on staff and board development because we recognize that if these valued assets are nurtured, our organization will thrive. We also identified several new initiatives that will allow us to reach people who struggle to access library services such as homebound individuals and people who don’t have internet at home.” Riedman also noted the successful efforts of library advocates who were engaged in 2018 to secure an increase in funding for libraries state-wide and community-based funding for Wood Library. “This year, as we celebrate Wood Library’s160th year as an essential community learning center, we can take great pride in how this library has adjusted to the changing needs of the people it serves and is considered by our colleagues across the state as setting the bar for exceptional library service,” stated Riedman. Wood Library is a full-service community library and registered 501 (c) 3 charitable organization serving everyone who resides in the Canandaigua City School District. Its mission is to provide exceptional public library service in a comfortable and safe environment where people can satisfy their curiosity, stimulate their imaginations, and connect to the local community and to the world. 2019 marks the library’s 160th year. For more information, go to www.woodlibrary.org or call 585-394-1381.